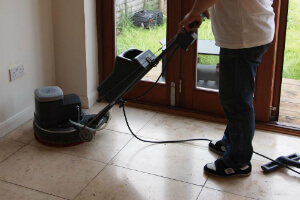 Woodford Green IG8 Hard Floor Cleaning Commercial & Domestic | Quality Property Care Ltd.
To book our expert company today contact us at 020 3746 4287 and if you are in luck we will have a team available to aid you. You can schedule well in advance or get a next day cleaning in case all of our crews are busy helping other customers. Contact our customer service is there for you at all times. 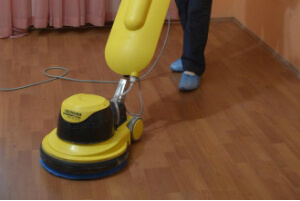 To clean wooden floors we use several specialised materials and machines to guarantee a proper finish. Before we start we inspect the condition and determine what type of finish has been used to the top of the floor. If the condition of the floor is fine we use drive pads to remove any surface filth and complete with a quick protective coating to keep the floor looking as pristine as it has. However, if it’s looking dull chances are that the seal has suffered complete wear, meaning that any filth and dirt in the floor is mbedding and entering into the material of the floor. If this is the case and the seal is gone we’ll have to sand the floor down to remove the filth and re-apply a protective coating. Several coats are recommended to ensure a absolute and complete seal. Once this is done the floor will be back to its previous glory. To ensure that this doesn’t happen book regular professional visits and have your floor maintained by our team of experts. If you want our talented and skillful Woodford Green IG8 floor cleaning professionals to help you out with the floor stains and faults, too, reach Quality Property Care Ltd. via this phone number 020 3746 4287! Floors like Vinyl, Linoleum, Laminate floors, Karndean and Amtico floors, we would recommend you decent and tender approach, combined with harsh bacteria removal, stain elimination and proper disinfection. To book us just call 020 3746 4287 or use the booking form, you can ask any questions at all times. The live line is free and available for all future and current customers. Feel free to call us at any time and ask anything cleaning related.